So, how do you create content that ranks well with search engines and also persuades people? This is a very useful keyword density checker where you can enter a URL or paste an article, choose the number of keyword results to display, and how many words per phrase. Your results will display and you can see both the count and density starting with the most frequently used words and phrases. While there are not any proven guidelines set forth by search engines for keyword density, you should keep your primary keywords between 2 and 3%. Ukwritings is a proofreading and writing tool to help you with your content writing. You can also check for plagiarism to make sure you produce original, high-quality content. Use this free SEO on-page optimization tool to see the important SEO content on your web page URL the same way a search engine views your data. You can use this tool to review your pages and also use this tool to crawl URLs from a competitor site. Use this writing assistance tools to carefully edit and proofread your content and make sure it is optimized. Good writing is important for SEO optimization. This online word counter is perfect to keep a count of your words and characters and assess your typing rate when writing your content. There is no optimal amount of text per page, and this is going to differ, based on the topic, and content type. However, it is important to keep track of your page word count and see which numbers rank best. 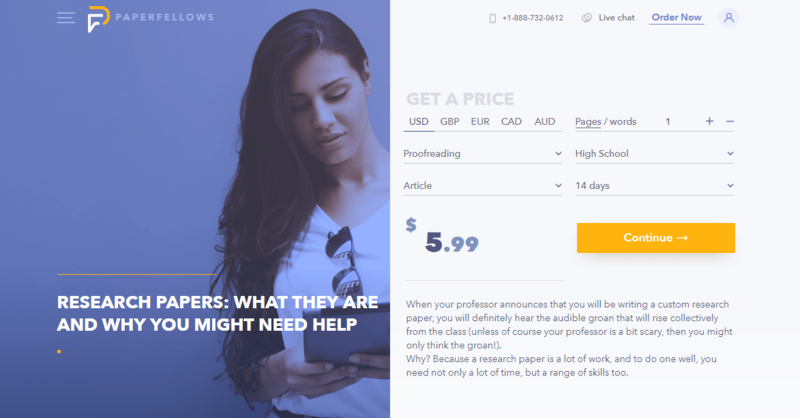 Essay writer is a proofreading and writing tool to help you with your content writing. Clear and accurate content is key both for SEO optimization and for your readers’ engagement. Slick Write is a powerful, free application that makes it easy to check your writing for grammar errors, style, and other features of interest. Using good grammar structure and wording strongly improves your content’s impact and readability. 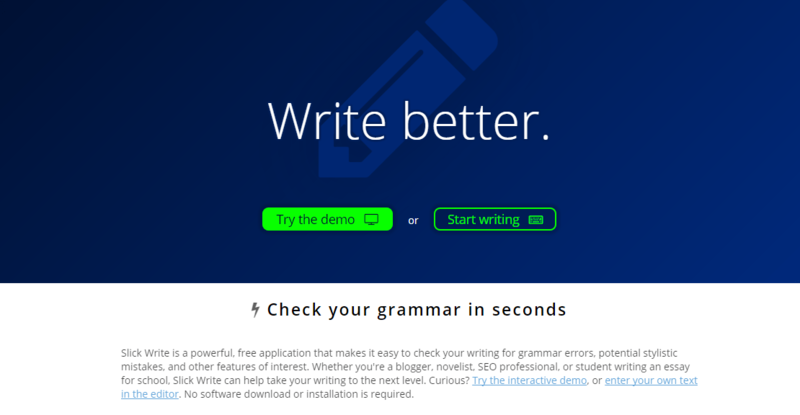 This writing app can help you write better and faster and make your writing a fun experience. The Ginger Software includes features such as grammar checker, sentence rephrases, translations and text reader, among others. Use this copywriting tools for writing and editing your content and for quality writing guides. Remember to always keep you content original and informative. Writing good SEO optimized content can take a long time if you are not a professionally trained SEO copywriter. 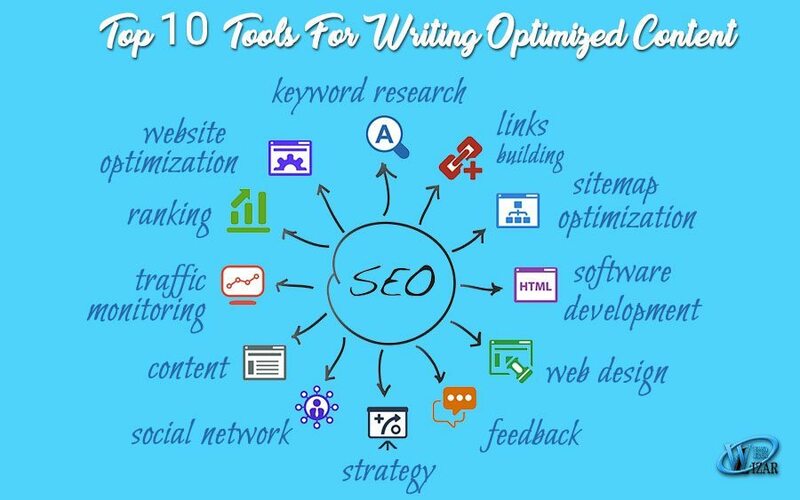 You should take advantage of these 10 useful tools to always optimize your content to perform better in search engines. They will help you improve your traffic, generate clicks and expand your brand. When using these SEO strategies always remember that your page should be focused on the user and therefore you should always produce very high-quality content. Combining these tools with a user-focused approach is the perfect recipe for online content marketing success. This blog contributted by Gloria Kopp, is an educator and an elearning consultant from Manville city. She graduated from University of Wyoming and started a career of business writer, now she works as a part-time blog editor at Academized. Besides, she is a regular contributor to such websites as Engadget, Huffingtonpost, etc. Read her latest posts on Studydemic. Nice collection however I see more services then really a tool. I am missing really a basically a word processor where you could check your keyword or keywords density. A bit like SEO tool of Yoast and gives you an outcome online straightaway what to improve. Or am I missing something? I like this post. It look compliment about this blog is incredibly positive I visit this blog first time and motivate by this well done work. Mind blowing post keeps up posting such great data. What’s more, it is more helpful to everyone.Thanks for sharing here. You can utilize this custom essay writing service administration for any sort of scholastic written work. Our written work benefit is having encountered specialists for making a wide range of undertakings is capable way. In this exposition composing administration has band of journalists work with them and they are qualified, imaginative and energetic about writing to help students with all their article writing necessities. These essayists in the organization are prepared frequently and courses are led for them by industry specialists.